Currently Game Theory Labs is working on two separate talks showing off some of its latest HTML5 based technology under development for The Institute for Operations Research and Management Sciences (INFORMS) Annual Meeting. 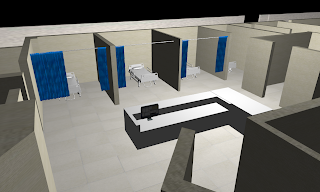 Baylor Medical Center is undergoing significant and costly facility remodeling and the construction will impact many areas over several months. These changes will likely affect the capacity and efficiency of the Emergency Department (ED). The purpose of this presentation is to discuss how simulation modeling is being used to evaluate these potential impacts and provide the Hospital administration with credible, data-based decision support throughout the process. 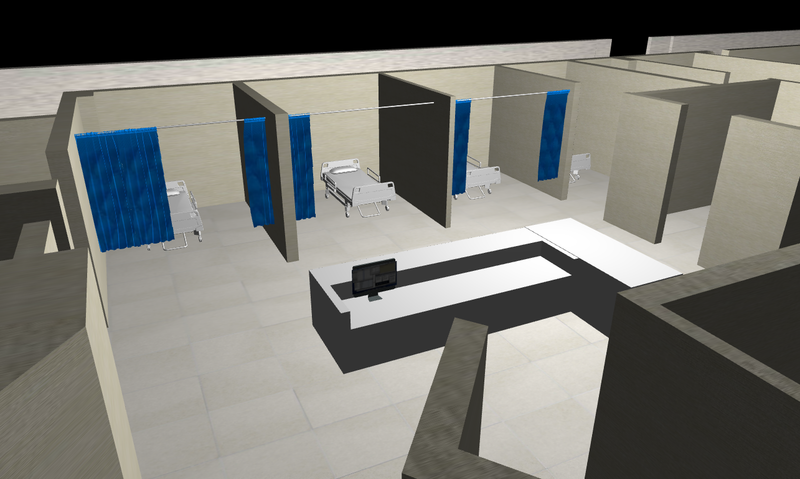 The WebGL based 3D environment for the ED Express Care Unit can be accessed via the following link. We are developing a parallel process particle swarm optimization (PSO) on an HTML5 based dynamically distributed system and assess its performance as applied to the multicommodity fixed charge (MCFC) network flow problem. The MCFC problem is motivated by a real-world cash management problem faced by large national banks and is NP-hard. We compare the performance of a serial and distributed parallel process PSO implementation and empirically evaluate the optimality gap for multiple instances. We are currently in the process of converting JaHOVA OS into a high performance multithreaded game and simulation engine (GEn3CIS). One feature of GEn3CIS is its ability to distribute processing across any internet enabled device with a modern browser. Essentially this allows a user to take their phone, tablet, PC/Mac, etc and utilize there combined computing power to solve any complex simulation, learning, and/or optimization problem.